Salem put on another successful Diversity Monologues on Wednesday, Nov. 14, in Bryant Hall, where many brave students were able to stand up and share their stories with their peers. Topics ranged from identity to sexuality, with many more in between. 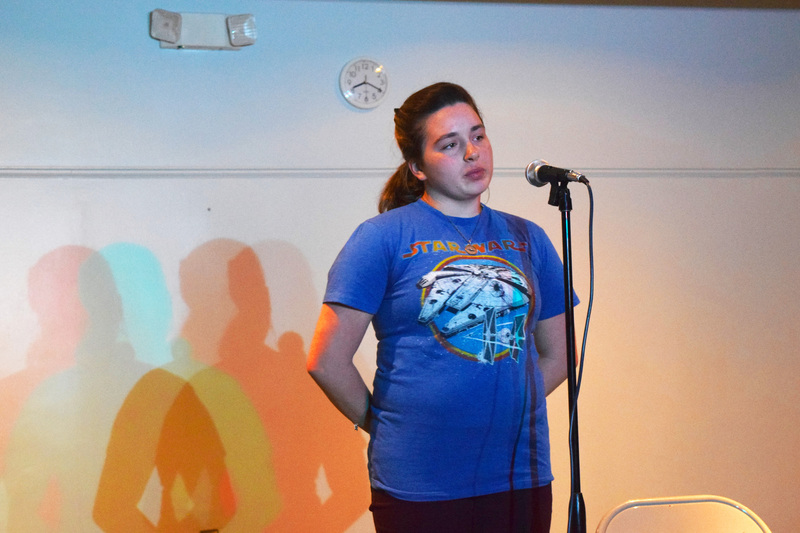 The Monologues are a way for students to get to know each other’s personal stories, Peyton Corder, a sophomore and Diversity Educator, explained. Corder says that she and the other Diversity Educators work closely with Dr. Alan Mueller and his graduate students. This year, they visited first year seminar classes to do a class of training on diversity and inclusivity. The impact on speakers is an important one as well. First-year student Jessica Driver says that she had been interested in sharing her story ever since she heard the Diversity Monologues given at Orientation. Driver also acknowledges that the event is a heavy one and nervousness comes along with the territory. Certainly, speaking about personal stories in front of an audience can be difficult, but Corder hopes that it is a positive experience for all. The Diversity Monologues have the makings to be an important, long-standing tradition at Salem. Here is to another one in the books, and the hopes for many, many more.